It’s been a busy week! In five consecutive days, I did five procedures for five patients with appendicitis. For each patient, I used the ultrasound to guide my approach. 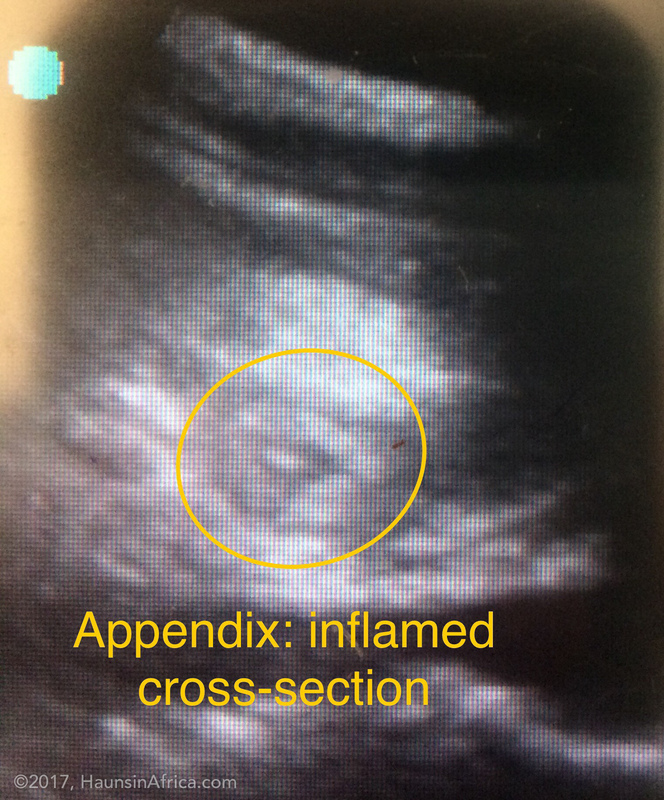 This week really helped me to fine tune my skills of finding the appendix with ultrasound! Two patients came in fairly early and I was able to remove the appendix through an old fashion appendectomy incision. 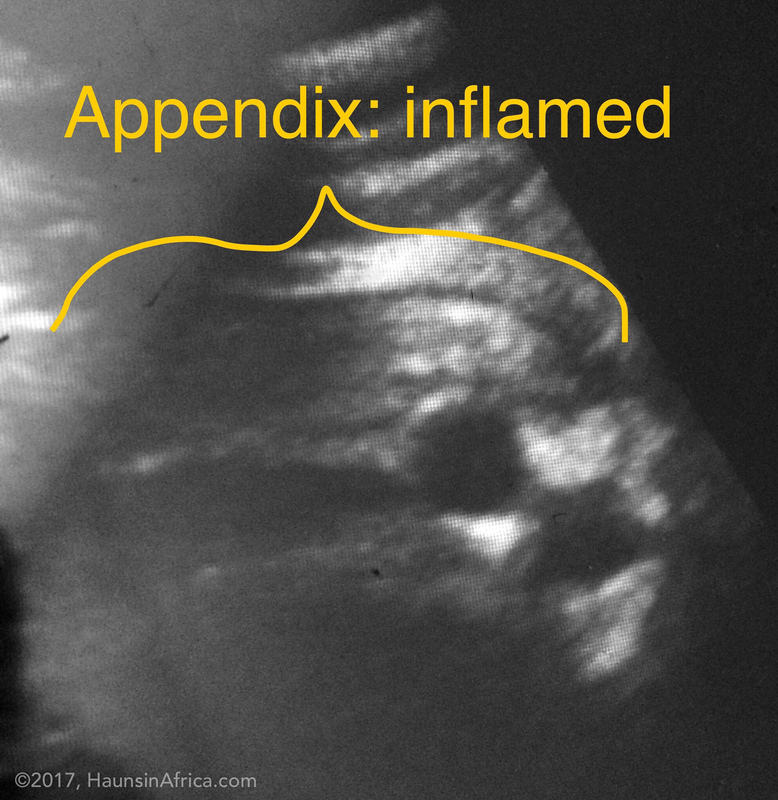 Two patients had waited at home long enough for the appendix to rupture (or at least perforate) and develop an abscess adjacent to the appendix. Using the ultrasound as my guide, I was able to make a small incision into the abdomen to drain out the pus. 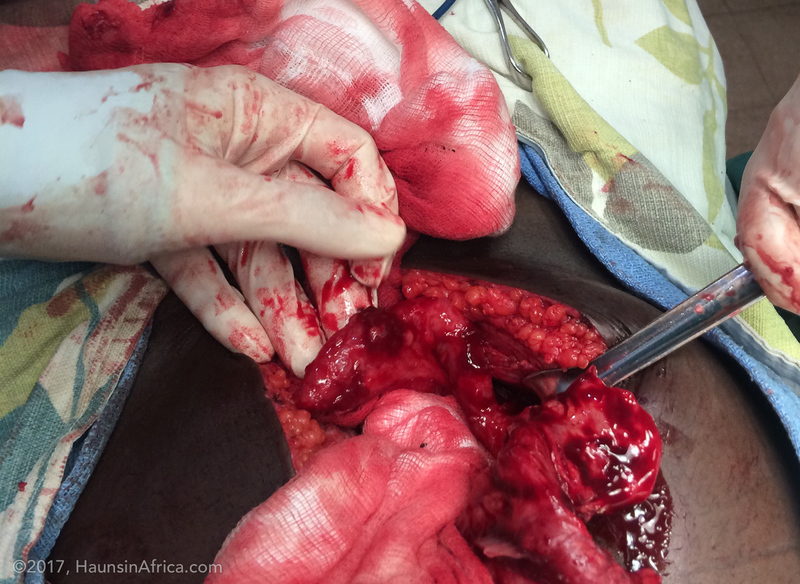 The final patient had a ruptured appendix with purulent fluid throughout the abdomen which required a much longer incision and irrigation of the entire abdomen. 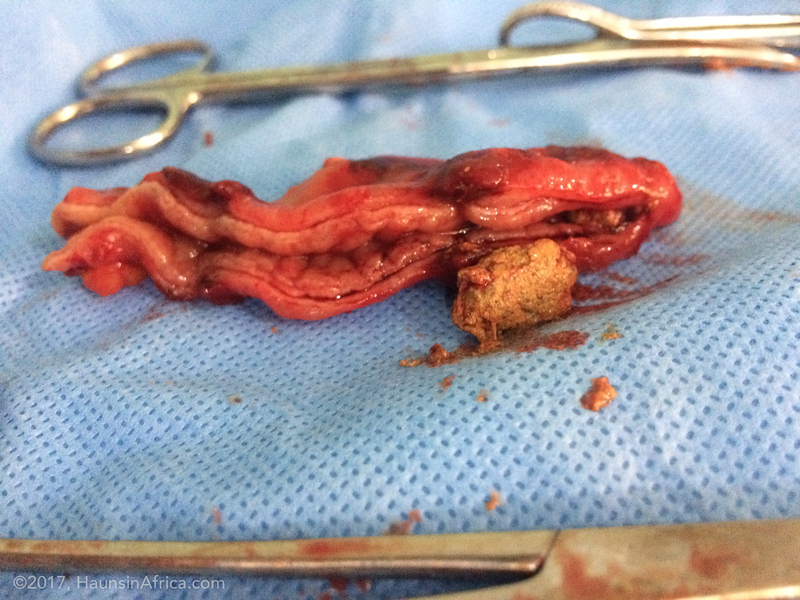 The appendectomy was also done at the same time.